Good hotels in Ethiopia can be found in Addis Ababa and other main tourist destinations including Mekelle and Lalibela. Facilities and service tend to vary widely, although breakfast is usually included. A 10% service charge and 15% room tax is commonly charged at top-end hotels. Within Addis Ababa, Golden Tulip (www.goldentulipaddisababa.com) on Cameroon Street is a good 4-star hotel popular with business travellers and foreign visitors. Its Spice Restaurant offers an outstanding spread of buffet breakfast, lunch and dinner as well as a la carte options. Hilton and Radisson Blu are the two other hotels preferred by foreign visitors. Camping is common particularly in Simien Mountains National Park where trekkers (along with their local guides and rangers) spend the nights in designated campsites. Around Danakil Depression, basic camping shelters are available at Hamed Ela, Do Dom and the Erta Ale crater rim. In fact, to get to Erta Ale, visitors hike 10km (6 miles) to the crater rim in the evening, camp for a night and return early the following morning. Camp sites are not common in major tourist towns as a wide range of hotels are available. Lodges: Although nowhere near as well set up as its southern neighbour Kenya, Ethiopia does boast a range of eco lodges in many of its more popular destinations. These lodges are wonderful if you want to relax for a few days amid gorgeous surroundings. 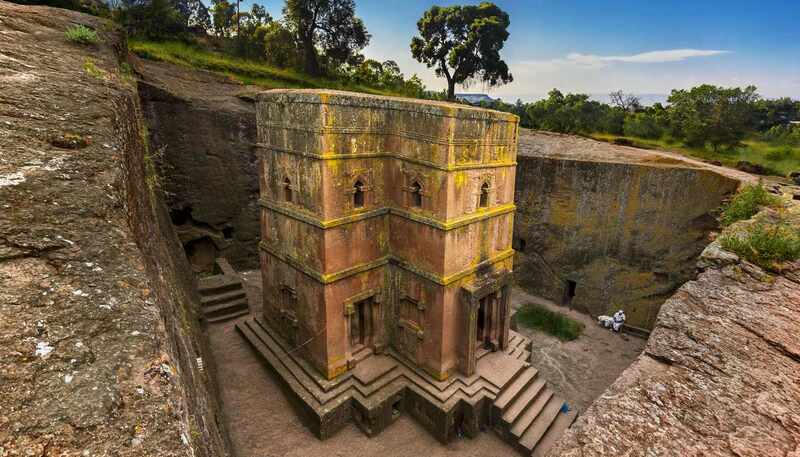 Notable lodges include Wukro Lodge (www.wukrolodge.com) in Tigray, 45km (28 miles) from Mekelle, and Mountain View Hotel (mountainview-hotel.com) in Lalibela. Unique accommodation: In Harar's old city several traditional Adare houses have been opened as guesthouses. Backpacker hotels: Generally, hotels are not very expensive. You can get a decent 2-star hotel with free breakfast for less than US$30 per person in a tourist destination. Finding a place for less than US$10 a night is also possible, particularly during off season.